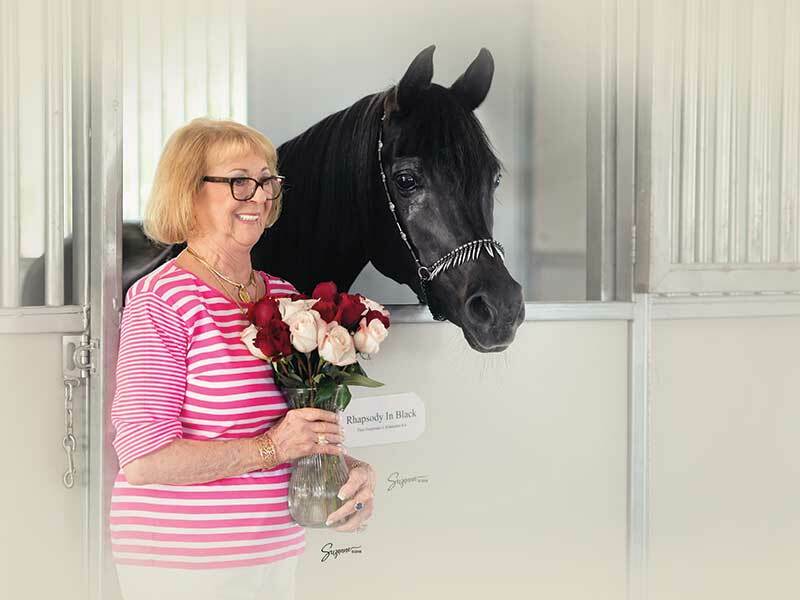 Congratulations to Arabian trainers Jody Strand and Wendy Potts, who were recognized for their competitive achievements as 2018 USEF Equestrians of the Year — Jody was awarded the Barbara Worth Oakford Trophy, and Wendy Potts received the Vaughan Smith Trophy. 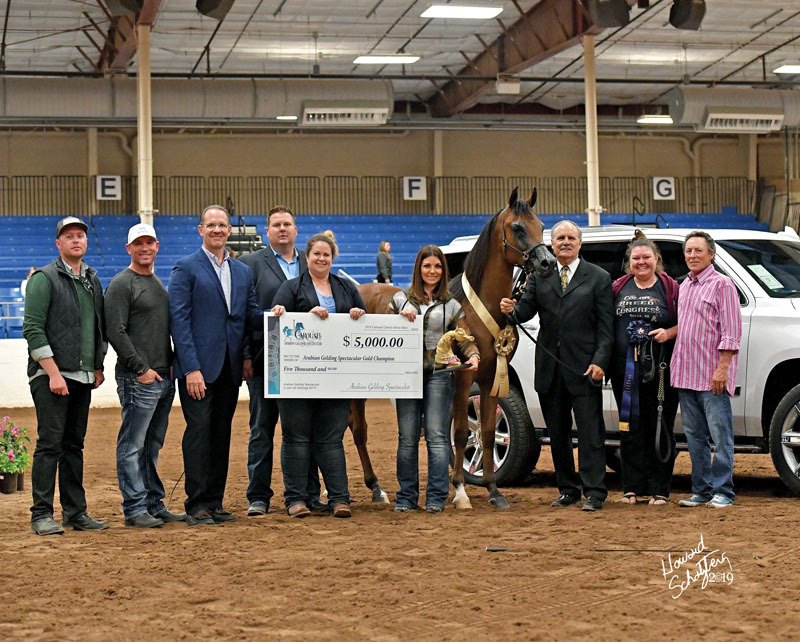 “When I first received the email from USEF stating that I was receiving the Vaughn Smith award for Hunter Pleasure/Show Hack, I thought there was a mistake,” says Wendy. “I had received the award quite a few years earlier and didn’t think you could win it more than once. 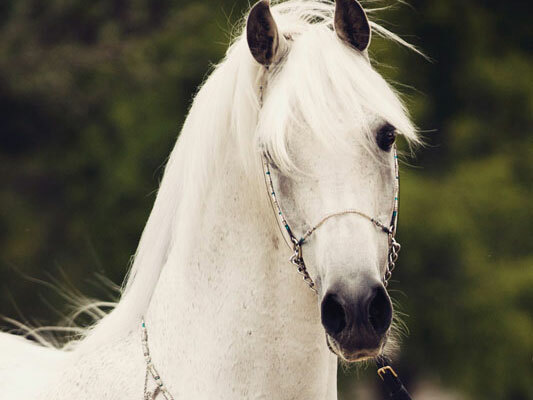 I called my friend at USEF and told her there must be a mistake, and she assured me that there was not! 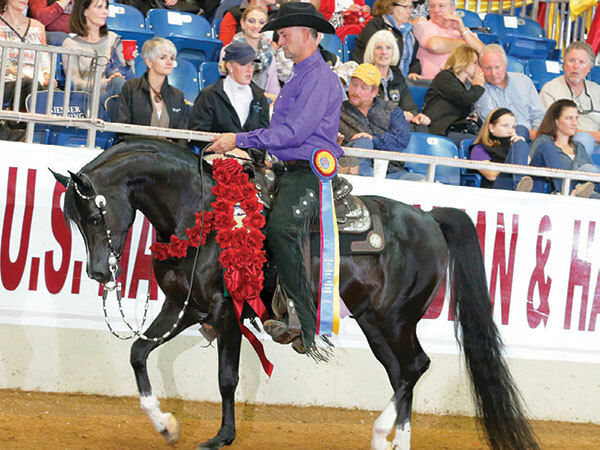 Zefyr (Sundance Kid V x Pattrice) and Jody Strand. 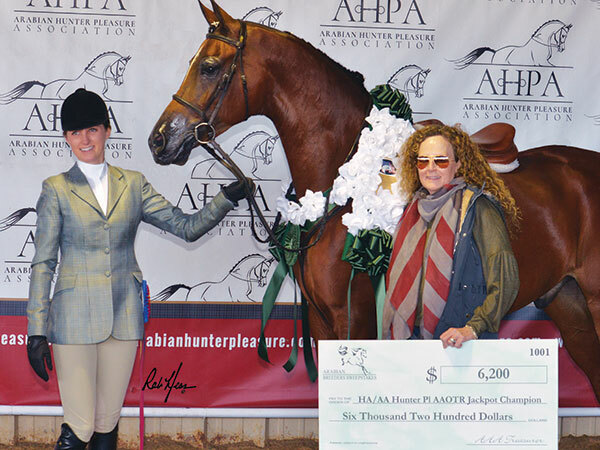 U.S. Nationals Champion Half-Arabian Hunter Pleasure Junior Horse and Reserve Champion AHPA $75,000 Half-Arabian Hunter Pleasure Futurity Oh Supreme Delight (Pryme Thyme x ZZ Supreme) and Wendy Potts, left. 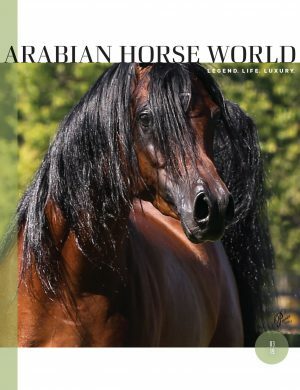 The Treasures Sale, Arabians Ltd.